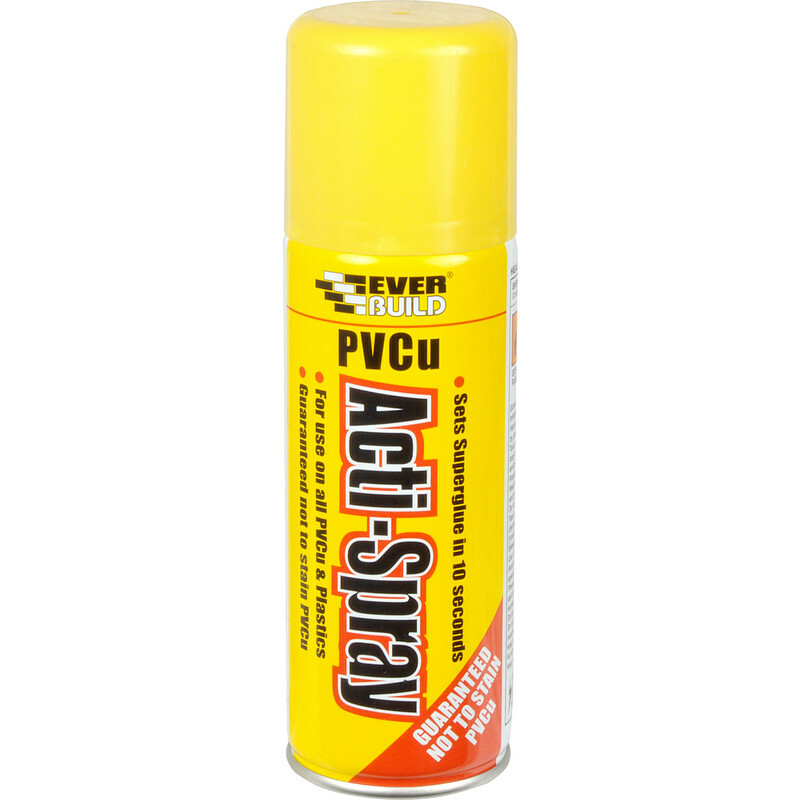 PVCu Superglue Activator 200ml is rated 4.4 out of 5 by 5. Rated 5 out of 5 by Phaze1 from Absolutely fantastic Does exactly what it says on the tin. couldn't buy this product anywhere else and believe me i tried everywhere i could think of locally for same day purchase. Rated 3 out of 5 by Squeeker from Slow to activate I used the superglue activator and was expecvting almost instant reaction time. The need to hold the joint togther for at least 20 seconds was somewhat of a surprise. However once the glue set off, the joint was very strong. Usefull for curing superglue on the finish of pens being turned etc where there is no need to keep the item together and still whilst the glue sets.